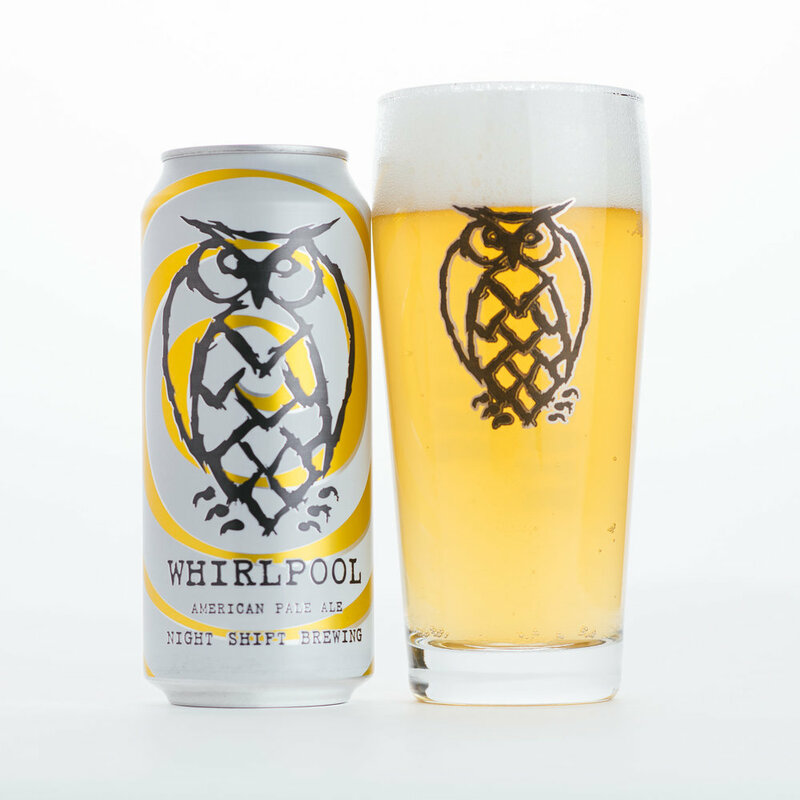 Whirlpool | 4.5% ABV | A New England pale ale brewed with wheat, oats, and barley. Hops include Mosaic and Summer hops, and is dry-hopped with Mosaic. Whirlpool pours straw yellow and slightly hazy. Aromas include peach and mango, with notes of ripe citrus and a crisp finish. 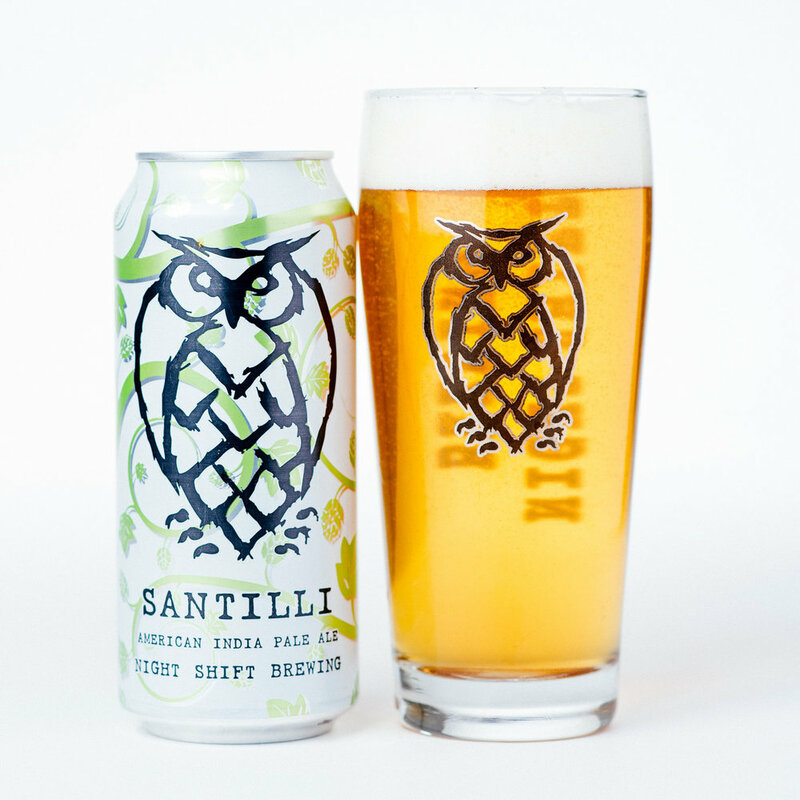 Santilli | 6.0% ABV | The Flagship IPA for Night Shift. The recipe for Santilli was born out of a batch of Morph, one of Night Shift's rotating IPA series. Santilli is packed with notes of pine and orange zest with a crisp finish. An excellent pairing with sharp cheeses and spiced meats. 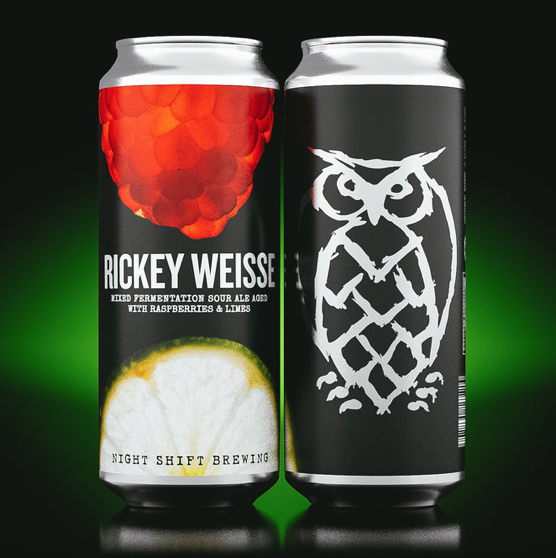 Rickey Weisse | 4.7% ABV | Rickey Weisse is a mixed fermentation sour ale aged with raspberries and limes. 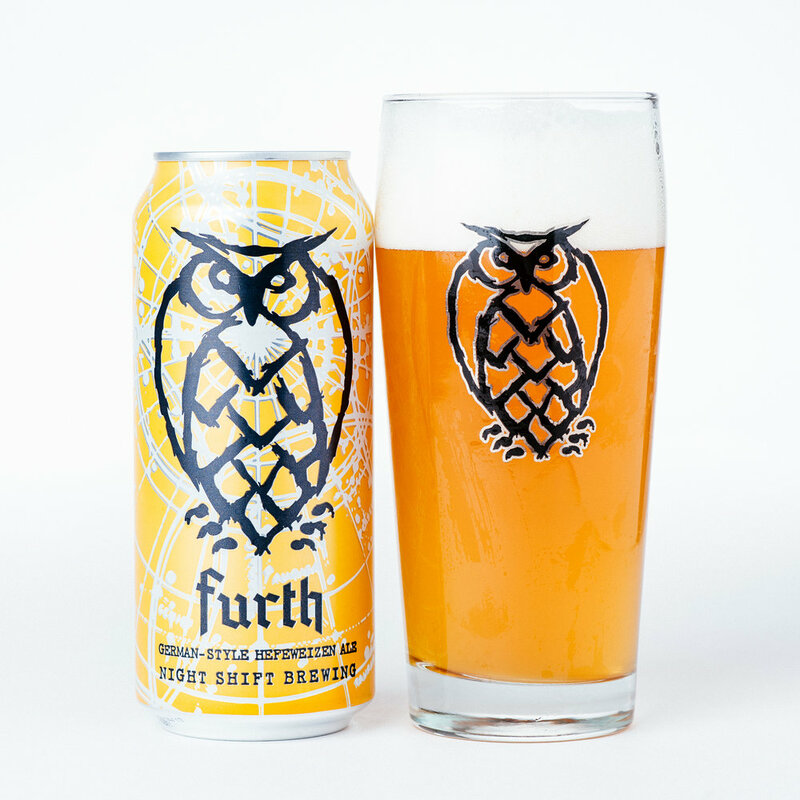 Furth | 5.5% ABV | A complex and easy drinking German style Hefeweizen with notes of banana and spice. Furth is the perfect beer for the dog days of summer. 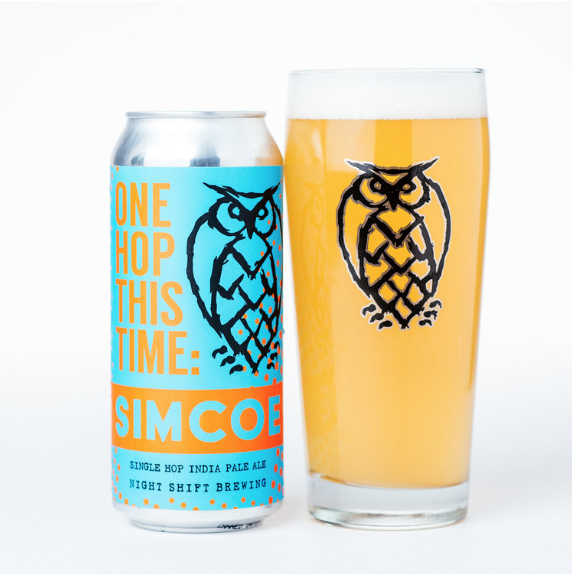 One Hop This Time Mosaic | 6.0% ABV | This exciting rotating IPA series was developed to showcase the specific profile of a single hop variety. This batch is brewed exclusively with Mosaic hops expect notes of tangerine, papaya, rose, blossoms, and grass.